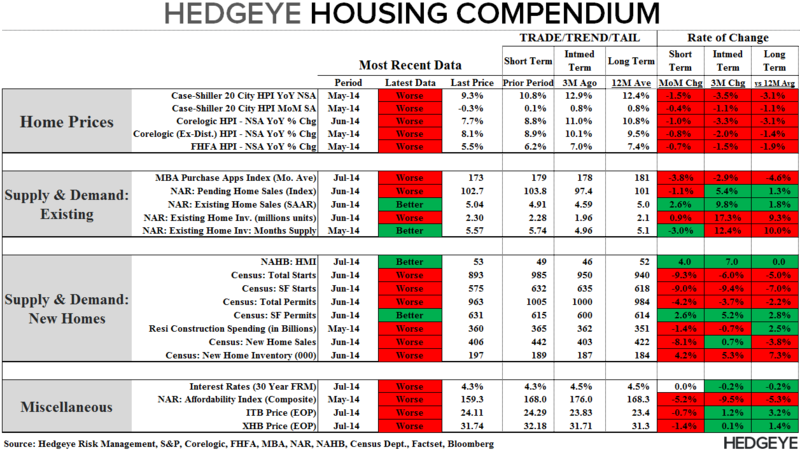 Our Hedgeye Housing Compendium table (below) aspires to present the state of the housing market in a visually-friendly format that takes about 30 seconds to consume. 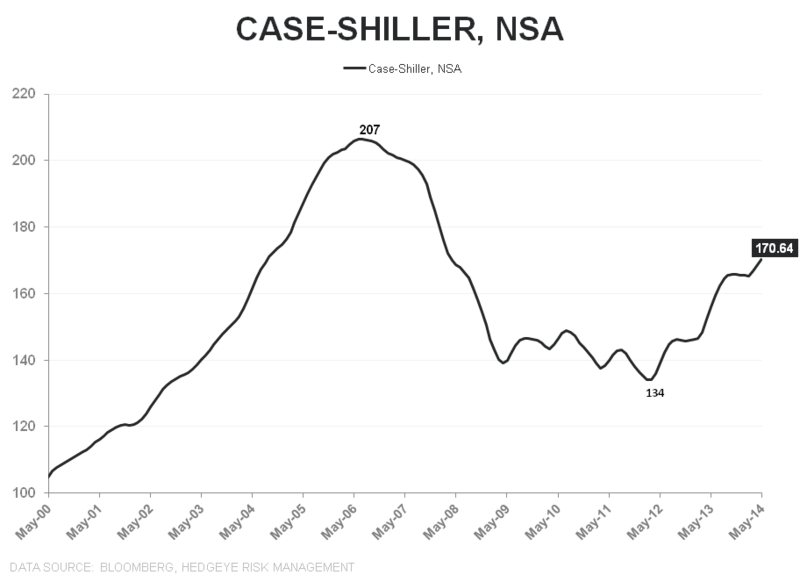 With June data from Corelogic in hand for almost a month already, we knew the slope and likely magnitude of the deceleration for case-shiller in May, but it's nice to get the official confirmation. We should get the Corelogic home price report for July either this Friday or Monday next week, which will be the far more important report. * Home Prices growth slowed for a sixth consecutive month, decelerating -148bps sequentially in May to +9.3% YoY. This was the second biggest month of deceleration since August of 2010 (last month was the largest at -155bps). * Notably, May marked the 1st month of negative MoM price growth since January 2012 in the seasonally-adjusted series. So, all the primary price series continue to tell a cohesive story of deceleration – one which we expect to continue through the back half of the year. Housing-related equities follow the path of HPI. So long as HPI is decelerating, housing equities will move sideways to lower. 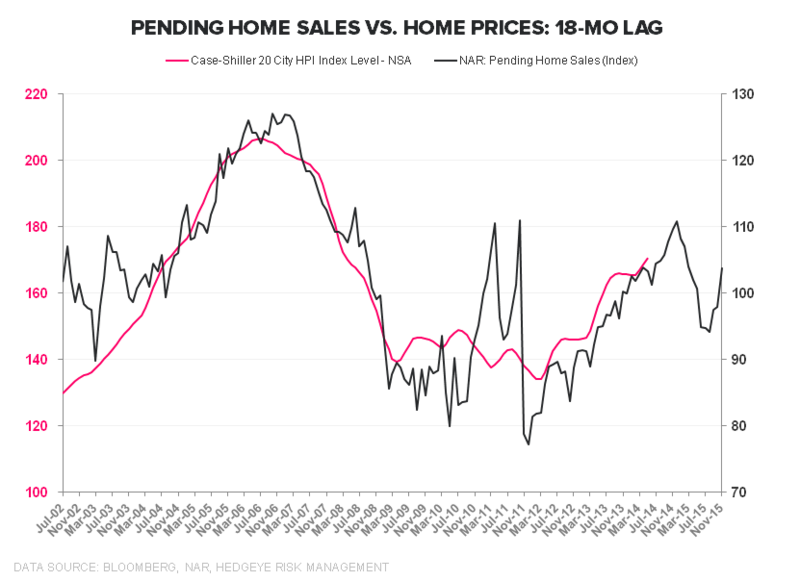 We can forecast HPI's path by looking at demand trends on a 12-18 month lead/lag basis. Our expectation is that prices continue to decelerate throughout 2H14 and potentially into 1H15. 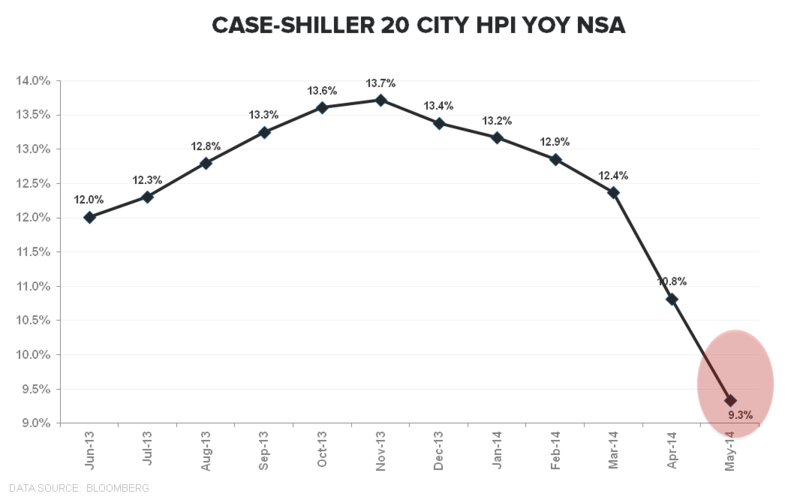 The S&P/Case-Shiller Home Price Index measures the changes in value of residential real estate by tracking single-family home re-sales in 20 metropolitan areas across the US. The index uses purchase price information obtained from county assessor and recorder offices. 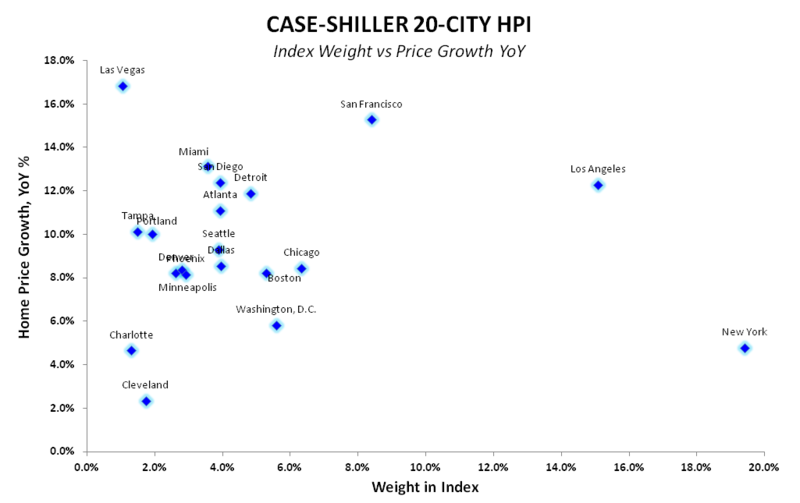 The Case-Shiller indexes are value-weighted, meaning price trends for more expensive homes have greater influence on estimated price changes than other homes. It is vital to note that the index’s printed number is a 3-month rolling average released on a two month delay. 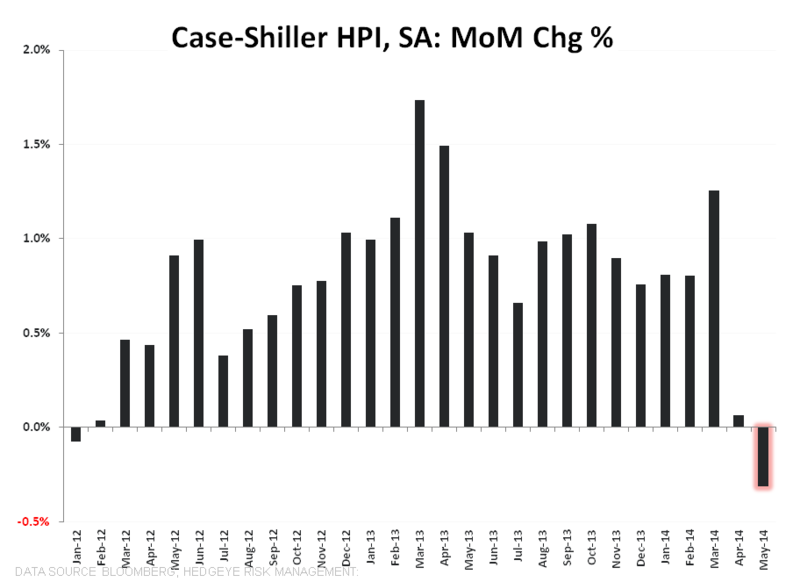 The S&P/Case-Shiller HPI is released on the last Tuesday of every month. The index is on a two month lag and therefore does not reflect the most recent month’s home prices.